Are you feeling stalled out in your business? Get to work this week, formulating your plan for growth. Take a look at these five suggestions to get started. 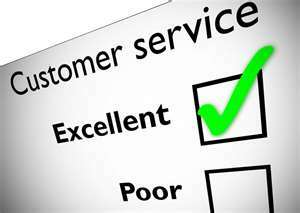 Customer Service Get a leg up on the competition by making excellent customer service your number one priority. If your client feels like you are doing everything you can and more to take care of them, they will want to tell everyone how great you are! Expand Take inventory of your most popular services and add on accessories that make them even more attractive. Then add more services that are becoming popular in the marketplace. If you are not constantly growing and improving your product, you will eventually go backward as your competitors move ahead. Quality Every product or service you put out there reflects on you, so make sure it is your best work every time. Attention to detail can seem like a dying art. Perfecting the little things goes a long way with clients, and word of mouth will spread quickly. Team Put your goals in writing, then communicate them with your team, updating everyone weekly on the progress. You won’t believe how motivating this will be. 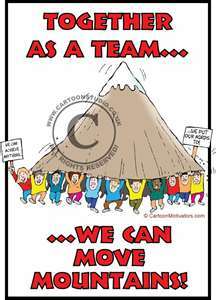 Also, ask your team for ideas on ways to grow. Often, the best ideas come from those who are in the trenches. Referrals Always ask your client if they know of anyone who needs your services, and ask them to contact them for you. This can be the quickest way to get new business. A warm contact is always more open than a cold one. Now it’s time to roll up your sleeves and get to work. Business growth is possible; sometimes it just takes some rethinking, imagination, and hard work. To learn more about growing your business, check out my book How to Double Your Wedding Business in 12 Months. Find me on the web at EvansSalesSolutions.com for more tools to improve your business. While you’re there, sign up for a Bridal Business Boot Camp in your area! This week, put on your thinking cap and strive for more!